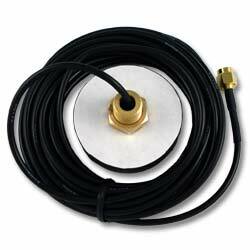 GPS Active Antenna – Bulkhead Mount – Waterproof - Connects to most GPS receivers. This quality product by Inventek is a waterproof active antenna, it is designed and tuned to attach the ISM300x family GPS receivers. The antenna may be ordered with custom cable lengths, connector and tuning as required.